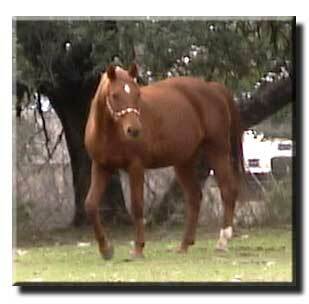 June 28 1988 16H Chestnut NSH 1/2 Arabian Saddlebred Mare. In Foal to KAMOUL ROUF for 2003 3/4 Arabian foal. 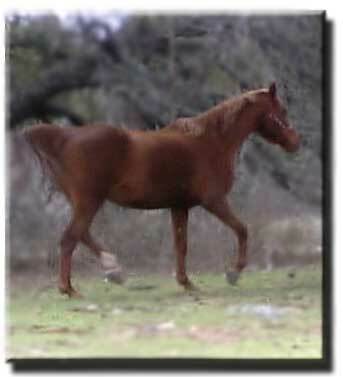 The foal is a futurity foal for the GREEN COUNTRY 1/2 ARAB FUTURITY. Well broke, very gentle. Has been used as a lesson horse.